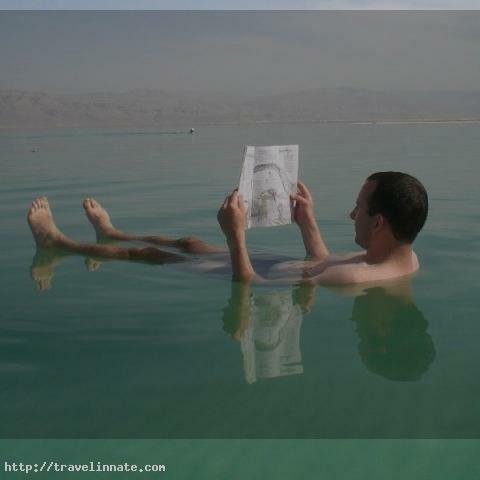 The Dead Sea is also known as the Salt Sea. 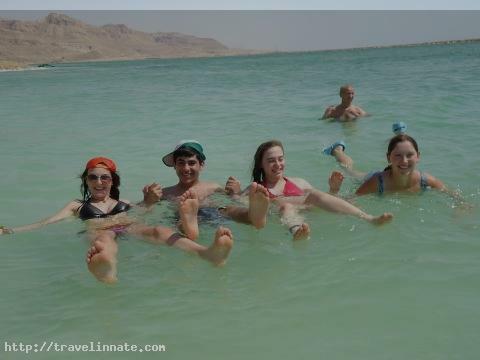 It is nothing but a salt lake touching one end of Jordan to the east and Israel to the other end of the west. Its surface and shores are of 427 meters below sea level. 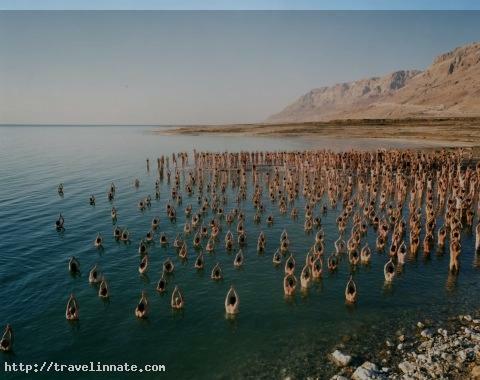 It is believed its shores are the lowest elevation point on land. It is considered to be 306 m deep, the deepest hyper saline lake in the world with 34.2% salinity. Further, it is seemed to be one of the world’s saltiest bodies of water though Lake Vanda in Antarctica. It is 9.6 times as salty as the other ocean. 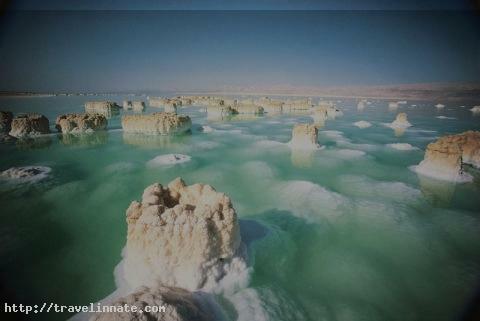 This salinity makes for a callous environment in which animals cannot prosper; hence its name was termed as salt lake. 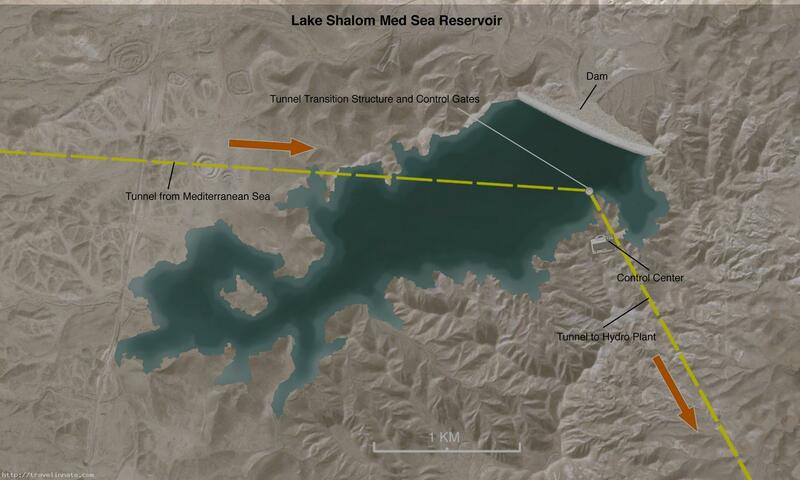 It is 50 kilometers long and 15 kilometers wide at its widest point. 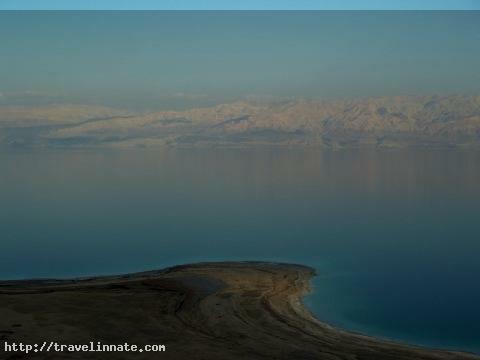 It is believed it lies in between the Jordan Rift Valley, and its chief tributary is the Jordan River. We are living in the modern world and passing through the twenty-first century. 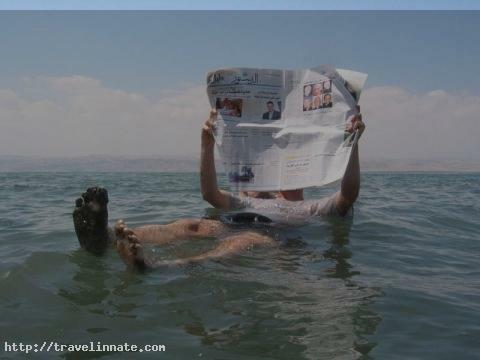 You must be surprised, realizing that after the lapse of two thousand years, now we all came to know that the its surface level or its shores are of the lowest elevation point of the world. This point our scientist had made clear to us after carrying out a number of experiments. Is it not wit enough to realize that our God had made it clear in His Quran about this point? Professor Palmer was one of the prominent scientists and considered to be the master at time in geographical field who after carrying their experiments, had quickly conceded that Quranic information is correct. This is a point to ponder for those who are non-Muslim and have weak faith in Quran. 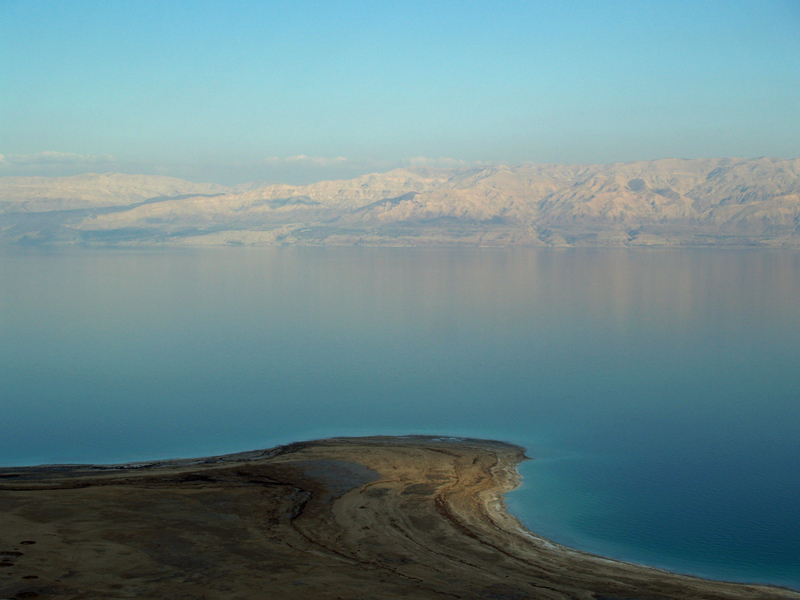 The Dead Sea seawater has a density of 1.240 kg/L. 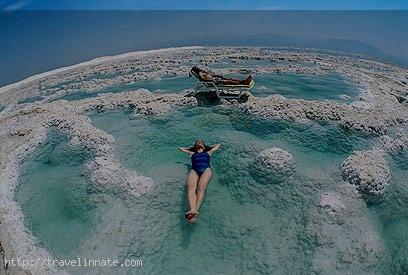 It strangely high salt concentration means that people can easily float in the Sea due to the natural buoyancy effect. 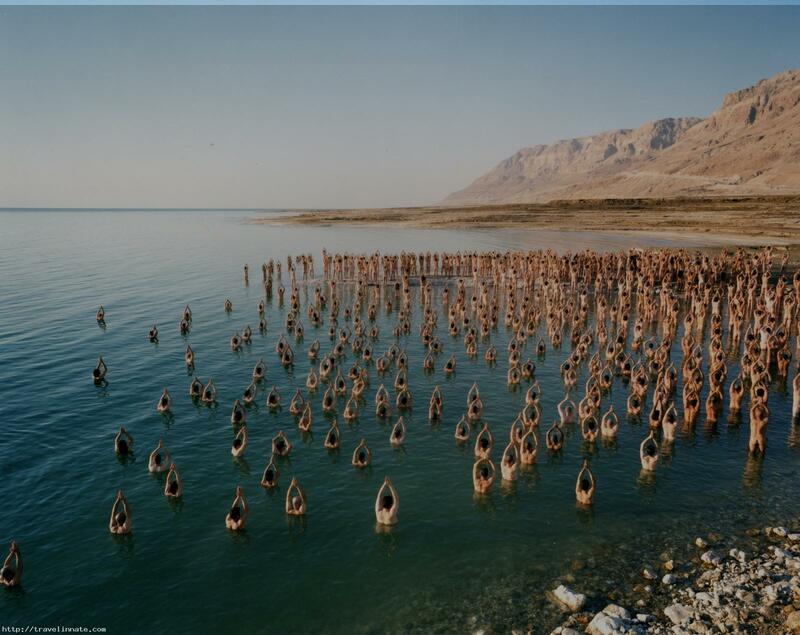 In this respect, the salt lake is similar to the Great Salt Lake in Utah in the United States. I just want to tell you that I am beginner to blogging and site-building and actually enjoyed your blog. Probably I’m going to bookmark your site . You amazingly come with superb article content. Cheers for sharing with us your web-site. First of all I would like to say fantastic blog! I had a quick question that I’d like to ask if you don’t mind. I was curious to know how you center yourself and clear your thoughts prior to writing. I’ve had difficulty clearing my mind in getting my thoughts out. I do enjoy writing however it just seems like the first 10 to 15 minutes are generally lost simply just trying to figure out how to begin. Any ideas or hints? Cheers! I’m really enjoying the theme/design of your web site. Do you ever run into any browser compatibility issues? A couple of my blog visitors have complained about my site not operating correctly in Explorer but looks great in Chrome. Do you have any recommendations to help fix this issue? Hiya! I know this is kinda off topic however I’d figured I’d ask. Would you be interested in trading links or maybe guest writing a blog article or vice-versa? My website discusses a lot of the same subjects as yours and I think we could greatly benefit from each other. If you are interested feel free to shoot me an email. I look forward to hearing from you! Excellent blog by the way! Hello! I’ve been reading your site for a long time now and finally got the courage to go ahead and give you a shout out from Porter Texas! Just wanted to tell you keep up the good job! With havin so much written content do you ever run into any problems of plagorism or copyright infringement? My site has a lot of unique content I’ve either created myself or outsourced but it looks like a lot of it is popping it up all over the internet without my authorization. Do you know any solutions to help stop content from being ripped off? I’d certainly appreciate it. Have you ever considered about including a little bit more than just your articles? I mean, what you say is valuable and everything. But imagine if you added some great images or videos to give your posts more, “pop”! Your content is excellent but with pics and clips, this blog could definitely be one of the very best in its field. Terrific blog! I like what you guys are up too. Such clever work and reporting! Keep up the superb works guys I’ve included you guys to my blogroll. Hey! Quick question that’s completely off topic. Do you know how to make your site mobile friendly? My web site looks weird when browsing from my iphone. I’m trying to find a template or plugin that might be able to correct this issue. If you have any suggestions, please share. With thanks! Hmm it appears like your website ate my first comment (it was extremely long) so I guess I’ll just sum it up what I submitted and say, I’m thoroughly enjoying your blog. I as well am an aspiring blog blogger but I’m still new to everything. Do you have any points for first-time blog writers? I’d really appreciate it. I’ve been surfing on-line greater than three hours as of late, yet I by no means discovered any interesting article like yours. It¡¦s lovely value enough for me. In my view, if all website owners and bloggers made excellent content as you probably did, the internet shall be a lot more helpful than ever before. Thank you for sharing excellent informations. Your site is very cool. I’m impressed by the details that you¡¦ve on this web site. It reveals how nicely you understand this subject. Bookmarked this web page, will come back for extra articles. You, my pal, ROCK! I found just the information I already searched everywhere and simply could not come across. What an ideal web site. Thanks for sharing excellent informations. Your web-site is very cool. I’m impressed by the details that you have on this web site. It reveals how nicely you perceive this subject. Bookmarked this website page, will come back for extra articles. You, my pal, ROCK! I found simply the info I already searched everywhere and just couldn’t come across. What an ideal web-site. Howdy I am so grateful I found your blog, I really found you by mistake, while I was looking on Aol for something else, Anyways I am here now and would just like to say thank you for a remarkable post and a all round enjoyable blog (I also love the theme/design), I don’t have time to look over it all at the minute but I have book-marked it and also added your RSS feeds, so when I have time I will be back to read a lot more, Please do keep up the superb job. Hi there! I know this is kinda off topic however , I’d figured I’d ask. Would you be interested in exchanging links or maybe guest writing a blog post or vice-versa? My website goes over a lot of the same subjects as yours and I believe we could greatly benefit from each other. If you’re interested feel free to send me an email. I look forward to hearing from you! Terrific blog by the way! Hello! Someone in my Myspace group shared this website with us so I came to look it over. I’m definitely loving the information. I’m bookmarking and will be tweeting this to my followers! Wonderful blog and terrific design. Simply desire to say your article is as astounding. The clearness in your post is simply nice and i could assume you are an expert on this subject. Well with your permission let me to grab your RSS feed to keep updated with forthcoming post. Thanks a million and please carry on the gratifying work. Heya superb website! Does running a blog such as this take a lot of work? I have virtually no expertise in coding but I had been hoping to start my own blog in the near future. Anyhow, should you have any ideas or techniques for new blog owners please share. I know this is off subject nevertheless I just needed to ask. Kudos! Greetings from Colorado! I’m bored at work so I decided to browse your website on my iphone during lunch break. I love the knowledge you present here and can’t wait to take a look when I get home. I’m amazed at how fast your blog loaded on my mobile .. I’m not even using WIFI, just 3G .. Anyhow, excellent blog! Have you ever considered writing an ebook or guest authoring on other blogs? I have a blog centered on the same topics you discuss and would really like to have you share some stories/information. I know my visitors would enjoy your work. If you’re even remotely interested, feel free to send me an e-mail. Hey there! I realize this is sort of off-topic but I had to ask. Does running a well-established blog like yours take a large amount of work? I’m completely new to writing a blog however I do write in my diary everyday. I’d like to start a blog so I can share my personal experience and thoughts online. Please let me know if you have any ideas or tips for brand new aspiring blog owners. Appreciate it! Hi there! I know this is kinda off topic however , I’d figured I’d ask. Would you be interested in trading links or maybe guest writing a blog article or vice-versa? My blog covers a lot of the same topics as yours and I think we could greatly benefit from each other. If you happen to be interested feel free to shoot me an e-mail. I look forward to hearing from you! Awesome blog by the way! I am curious to find out what blog system you are utilizing? I’m experiencing some minor security problems with my latest site and I’d like to find something more safe. Do you have any recommendations? First of all I would like to say superb blog! I had a quick question which I’d like to ask if you do not mind. I was interested to find out how you center yourself and clear your mind before writing. I’ve had a tough time clearing my mind in getting my ideas out. I truly do enjoy writing but it just seems like the first 10 to 15 minutes are usually lost simply just trying to figure out how to begin. Any ideas or tips? Cheers! Keep up the superb piece of work, I read few content on this internet site and I think that your web blog is very interesting and has sets of superb info . Do you have a spam problem on this site; I also am a blogger, and I was wondering your situation; many of us have created some nice methods and we are looking to exchange solutions with others, be sure to shoot me an e-mail if interested. hi!,I love your writing very much! share we keep in touch more approximately your article on AOL? I require a specialist on this house to solve my problem. Maybe that’s you! Having a look forward to peer you. I¡¦ve learn several excellent stuff here. Definitely worth bookmarking for revisiting. I wonder how much effort you set to create one of these great informative website. I would like to show some thanks to you just for bailing me out of this type of predicament. After surfing around throughout the online world and getting concepts which are not pleasant, I was thinking my entire life was well over. 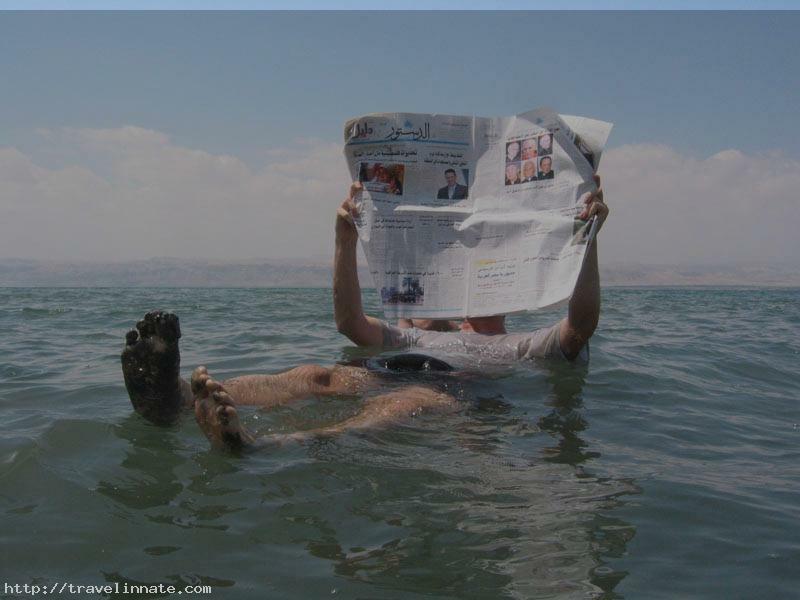 Existing devoid of the strategies to the difficulties you have solved by means of your good short article is a serious case, as well as those that would have badly damaged my entire career if I hadn’t encountered your blog. Your main knowledge and kindness in handling everything was very helpful. I’m not sure what I would have done if I hadn’t encountered such a stuff like this. I can also at this point look forward to my future. Thanks a lot so much for your high quality and results-oriented help. I won’t think twice to endorse your blog post to anybody who should receive guidance on this situation. I simply wanted to write down a simple word so as to thank you for all the precious tips you are showing here. My prolonged internet lookup has now been recognized with awesome facts to exchange with my family and friends. I would admit that many of us website visitors are very lucky to dwell in a remarkable place with very many brilliant people with very beneficial tips and hints. I feel very blessed to have discovered the webpages and look forward to tons of more awesome minutes reading here. Thank you once more for a lot of things. hello!,I really like your writing very much! share we keep up a correspondence more about your article on AOL? I require an expert in this space to unravel my problem. May be that’s you! Taking a look forward to see you. Hi, Neat post. There is a problem with your website in web explorer, might test this… IE still is the market chief and a large element of folks will omit your magnificent writing because of this problem. Very efficiently written information. It will be useful to anybody who usess it, including yours truly :). Keep up the good work – i will definitely read more posts. Excellent site. A lot of helpful information here. I¡¦m sending it to several buddies ans additionally sharing in delicious. And naturally, thank you on your effort! I was reading some of your blog posts on this site and I believe this web site is very instructive! Retain putting up. Rattling nice style and design and great content , nothing else we require : D.
I was looking through some of your articles on this website and I think this website is really informative ! Keep posting . 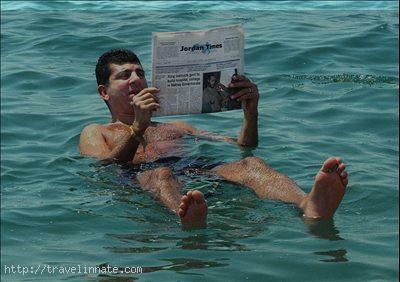 I have been surfing online greater than 3 hours as of late, but I by no means found any interesting article like yours. It’s beautiful price sufficient for me. In my opinion, if all webmasters and bloggers made good content material as you probably did, the net might be a lot more helpful than ever before. “Where facts are few, experts are many.” by Donald R. Gannon. I have been surfing online greater than three hours as of late, yet I by no means found any fascinating article like yours. It’s pretty value sufficient for me. Personally, if all site owners and bloggers made excellent content as you did, the internet shall be much more helpful than ever before. “When there is a lack of honor in government, the morals of the whole people are poisoned.” by Herbert Clark Hoover. Thank you, I have just been looking for info about this topic for a while and yours is the greatest I’ve found out till now. However, what about the bottom line? Are you positive about the supply? F*ckin’ remarkable issues here. I’m very satisfied to peer your post. Thanks so much and i’m taking a look ahead to touch you. Will you kindly drop me a e-mail? Hello, Neat post. There’s a problem along with your site in web explorer, would check this¡K IE nonetheless is the marketplace leader and a large component to people will leave out your excellent writing due to this problem. Hi! This is my first comment here so I just wanted to give a quick shout out and say I really enjoy reading through your posts. Can you recommend any other blogs/websites/forums that go over the same subjects? Many thanks! you’re really a just right webmaster. The website loading speed is amazing. It kind of feels that you’re doing any distinctive trick. Furthermore, The contents are masterwork. you’ve performed a fantastic activity on this subject! Helpful information. Fortunate me I found your web site accidentally, and I’m surprised why this accident didn’t took place earlier! I bookmarked it. Thank you for another informative site. Where else may I am getting that kind of information written in such a perfect manner? I’ve a mission that I’m simply now running on, and I’ve been at the look out for such info. Just want to say your article is as amazing. The clearness in your post is simply nice and i could assume you are an expert on this subject. Fine with your permission let me to grab your feed to keep updated with forthcoming post. Thanks a million and please continue the gratifying work. I’ve learn some good stuff here. Definitely price bookmarking for revisiting. I wonder how much effort you set to create this type of fantastic informative web site. I just could not leave your site before suggesting that I extremely enjoyed the standard information a person provide on your guests? Is going to be back regularly in order to inspect new posts. Howdy! I know this is kinda off topic however , I’d figured I’d ask. Would you be interested in trading links or maybe guest authoring a blog article or vice-versa? My site addresses a lot of the same topics as yours and I feel we could greatly benefit from each other. If you’re interested feel free to shoot me an email. I look forward to hearing from you! Excellent blog by the way! wonderful issues altogether, you simply won a emblem new reader. What would you recommend in regards to your publish that you made a few days ago? Any positive? Thank you for every other great article. Where else may anyone get that type of info in such a perfect method of writing? I’ve a presentation next week, and I am at the look for such information. Hello very cool website!! Man .. Excellent .. Amazing .. I will bookmark your website and take the feeds additionally…I’m glad to search out numerous useful info right here within the publish, we want develop more strategies in this regard, thanks for sharing. I precisely desired to thank you very much once again. I am not sure what I could possibly have carried out without the actual opinions provided by you over such concern. It previously was a very frustrating setting in my opinion, nevertheless viewing this well-written way you managed it took me to weep over happiness. Now i am happy for your advice and expect you find out what an amazing job you were undertaking educating men and women thru your web page. I’m certain you have never come across all of us. What i don’t understood is if truth be told how you are no longer really much more neatly-appreciated than you may be now. You are so intelligent. You know therefore considerably on the subject of this matter, made me in my view consider it from a lot of various angles. Its like women and men aren’t interested unless it is something to accomplish with Lady gaga! Your individual stuffs great. Always handle it up! I have been exploring for a little bit for any high-quality articles or blog posts on this kind of area . Exploring in Yahoo I ultimately stumbled upon this website. Studying this information So i¡¦m satisfied to show that I’ve a very good uncanny feeling I discovered exactly what I needed. I such a lot unquestionably will make certain to do not forget this web site and give it a look on a continuing basis. Excellent read, I just passed this onto a friend who was doing a little research on that. And he just bought me lunch as I found it for him smile Thus let me rephrase that: Thanks for lunch! “The future is not something we enter. The future is something we create.” by Leonard I. Sweet. I truly wanted to construct a small message in order to thank you for some of the splendid instructions you are showing at this site. My time consuming internet lookup has at the end been recognized with pleasant content to write about with my colleagues. I would mention that most of us visitors actually are undeniably lucky to dwell in a very good place with very many special individuals with insightful advice. I feel truly privileged to have encountered your entire web pages and look forward to many more enjoyable minutes reading here. Thank you once again for all the details. Thanks for every other informative blog. Where else could I am getting that type of information written in such an ideal means? I’ve a mission that I am simply now operating on, and I have been on the glance out for such information. Thank you for sharing superb informations. Your web site is very cool. I am impressed by the details that you have on this site. It reveals how nicely you perceive this subject. Bookmarked this web page, will come back for more articles. You, my friend, ROCK! I found simply the info I already searched everywhere and just could not come across. What a perfect website. I have read some good stuff here. Certainly worth bookmarking for revisiting. I surprise how much attempt you set to create the sort of great informative web site. Please let me know if you’re looking for a author for your weblog. You have some really great articles and I believe I would be a good asset. If you ever want to take some of the load off, I’d love to write some articles for your blog in exchange for a link back to mine. Please send me an e-mail if interested. Regards! Hey there! I’ve been following your blog for a while now and finally got the bravery to go ahead and give you a shout out from Humble Texas! Just wanted to mention keep up the great job! Simply want to say your article is as astonishing. The clarity in your post is simply great and i can assume you’re an expert on this subject. Fine with your permission let me to grab your feed to keep up to date with forthcoming post. Thanks a million and please continue the rewarding work. Awesome blog you have here but I was curious about if you knew of any discussion boards that cover the same topics discussed here? I’d really love to be a part of online community where I can get advice from other experienced individuals that share the same interest. If you have any suggestions, please let me know. Bless you! Hey there! I know this is sort of off-topic but I needed to ask. Does managing a well-established website such as yours require a massive amount work? I am brand new to operating a blog however I do write in my journal every day. I’d like to start a blog so I can share my personal experience and thoughts online. Please let me know if you have any suggestions or tips for new aspiring bloggers. Appreciate it! Thanks for your personal marvelous posting! I seriously enjoyed reading it, you may be a great author.I will make certain to bookmark your blog and will often come back sometime soon. I want to encourage you to definitely continue your great writing, have a nice evening! naturally like your web-site but you have to test the spelling on several of your posts. Many of them are rife with spelling problems and I find it very bothersome to inform the reality however I¡¦ll surely come back again. Do you have a spam problem on this blog; I also am a blogger, and I was curious about your situation; many of us have created some nice procedures and we are looking to trade methods with others, be sure to shoot me an email if interested. Some really nice and useful info on this internet site, too I think the pattern contains great features. Fantastic goods from you, man. I’ve understand your stuff previous to and you are just extremely wonderful. I actually like what you have acquired here, certainly like what you are stating and the way in which you say it. You make it entertaining and you still care for to keep it wise. I can not wait to read far more from you. This is actually a tremendous website. Good – I should definitely pronounce, impressed with your website. I had no trouble navigating through all tabs and related information ended up being truly easy to do to access. I recently found what I hoped for before you know it at all. Reasonably unusual. Is likely to appreciate it for those who add forums or something, website theme . a tones way for your customer to communicate. Nice task. Hello there, I found your website by way of Google even as looking for a comparable subject, your website got here up, it seems good. I have bookmarked it in my google bookmarks. Hey there! I’ve been following your weblog for a while now and finally got the bravery to go ahead and give you a shout out from Dallas Tx! Just wanted to mention keep up the excellent job! My coder is trying to convince me to move to .net from PHP. I have always disliked the idea because of the expenses. But he’s tryiong none the less. I’ve been using WordPress on a number of websites for about a year and am concerned about switching to another platform. I have heard fantastic things about blogengine.net. Is there a way I can import all my wordpress posts into it? Any help would be really appreciated! I like what you guys are up too. This type of clever work and coverage! Keep up the awesome works guys I’ve you guys to blogroll. First off I would like to say awesome blog! I had a quick question in which I’d like to ask if you don’t mind. I was curious to find out how you center yourself and clear your thoughts prior to writing. I’ve had trouble clearing my thoughts in getting my thoughts out. I truly do take pleasure in writing however it just seems like the first 10 to 15 minutes tend to be lost just trying to figure out how to begin. Any suggestions or tips? Appreciate it! I wish to express my admiration for your kindness giving support to folks that actually need help with the study. Your personal commitment to getting the solution all through was astonishingly informative and have constantly empowered many people just like me to reach their ambitions. This useful hints and tips denotes a lot a person like me and substantially more to my office colleagues. Thanks a ton; from all of us. I¡¦ve been exploring for a little for any high quality articles or weblog posts on this sort of space . Exploring in Yahoo I at last stumbled upon this web site. Studying this info So i¡¦m satisfied to exhibit that I have a very good uncanny feeling I came upon exactly what I needed. I most no doubt will make sure to don¡¦t fail to remember this web site and give it a glance on a continuing basis. eSSBoW Im grateful for the blog.Thanks Again. Want more. You could definitely see your expertise within the work you write. The world hopes for even more passionate writers like you who aren’t afraid to mention how they believe. All the time go after your heart. Wonderful goods from you, man. I’ve understand your stuff previous to and you’re just too great. I actually like what you’ve acquired here, certainly like what you are stating and the way in which you say it. You make it enjoyable and you still care for to keep it wise. I cant wait to read much more from you. This is really a tremendous website. You could certainly see your skills within the work you write. The world hopes for more passionate writers such as you who are not afraid to mention how they believe. All the time follow your heart. “No man should marry until he has studied anatomy and dissected at least one woman.” by Honore’ de Balzac. My programmer is trying to persuade me to move to .net from PHP. I have always disliked the idea because of the expenses. But he’s tryiong none the less. I’ve been using Movable-type on a number of websites for about a year and am anxious about switching to another platform. I have heard excellent things about blogengine.net. Is there a way I can import all my wordpress posts into it? Any help would be greatly appreciated! Woah! I’m really digging the template/theme of this website. It’s simple, yet effective. A lot of times it’s tough to get that “perfect balance” between usability and visual appeal. I must say you’ve done a superb job with this. In addition, the blog loads extremely fast for me on Opera. Outstanding Blog! You are my inspiration , I possess few blogs and very sporadically run out from to post .I conceive this web site contains some rattling wonderful information for everyone. “In this world second thoughts, it seems, are best.” by Euripides. F*ckin’ remarkable things here. I am very happy to look your post. Thanks so much and i’m looking ahead to contact you. Will you please drop me a e-mail? UAfSvj Looking forward to reading more. Great article post.Really looking forward to read more. Cool. I have been exploring for a bit for any high-quality articles or weblog posts on this kind of house . Exploring in Yahoo I at last stumbled upon this website. Reading this information So i am satisfied to convey that I have an incredibly excellent uncanny feeling I discovered exactly what I needed. I most certainly will make certain to don¡¦t fail to remember this website and provides it a look on a constant basis. wonderful publish, very informative. I wonder why the opposite specialists of this sector don’t notice this. You must continue your writing. I am confident, you’ve a great readers’ base already! I must show thanks to the writer for bailing me out of this type of circumstance. As a result of looking throughout the world wide web and seeing concepts that were not helpful, I figured my entire life was well over. Existing without the presence of solutions to the difficulties you’ve resolved all through the blog post is a crucial case, and the ones which could have adversely affected my entire career if I had not discovered the website. Your actual skills and kindness in touching a lot of stuff was very helpful. I don’t know what I would have done if I had not come upon such a thing like this. It’s possible to at this moment relish my future. Thanks for your time so much for the reliable and sensible guide. I won’t hesitate to suggest your blog post to anyone who wants and needs direction on this problem. I simply needed to thank you so much again. I’m not certain the things that I would have sorted out in the absence of the actual ways revealed by you directly on that concern. It seemed to be a intimidating issue in my position, however , looking at a new specialized form you solved the issue took me to weep over fulfillment. Extremely thankful for this support and then expect you know what a powerful job you happen to be getting into instructing people thru a blog. Probably you haven’t come across all of us. Thanks for sharing superb informations. Your site is very cool. I am impressed by the details that you’ve on this blog. It reveals how nicely you understand this subject. Bookmarked this web page, will come back for more articles. You, my pal, ROCK! I found just the info I already searched all over the place and simply couldn’t come across. What a perfect website. I would like to thank you for the efforts you’ve put in writing this site. I’m hoping the same high-grade web site post from you in the upcoming also. Actually your creative writing abilities has encouraged me to get my own site now. Actually the blogging is spreading its wings quickly. Your write up is a good example of it. Thank you for your entire effort on this web site. My mum really likes carrying out investigations and it is obvious why. My spouse and i notice all relating to the powerful mode you present sensible ideas via the website and welcome response from some others on that area of interest and our princess is always understanding a lot of things. Take pleasure in the remaining portion of the new year. You’re the one doing a useful job. Some really excellent info , Gladiola I noticed this. “I try to avoid looking forward or backward, and try to keep looking upward.” by Charlotte Bronte. A person necessarily lend a hand to make significantly articles I might state. This is the first time I frequented your website page and up to now? I amazed with the research you made to make this particular put up amazing. Fantastic process! I really enjoy examining on this web site, it contains wonderful content. “Never fight an inanimate object.” by P. J. O’Rourke. I simply wished to thank you so much all over again. I do not know the things that I would’ve carried out in the absence of the type of basics revealed by you concerning such subject matter. It previously was a hard difficulty in my circumstances, but taking a look at your specialised manner you solved it took me to weep for contentment. I’m happy for the service and have high hopes you are aware of a powerful job you were providing educating the others thru your blog. I am certain you haven’t encountered all of us. I like this weblog very much, Its a very nice office to read and get information. “What happens to the hole when the cheese is gone” by Bertolt Brecht. Some genuinely good articles on this internet site, thanks for contribution. “Always aim for achievement, and forget about success.” by Helen Hayes. You can definitely see your skills within the paintings you write. The arena hopes for more passionate writers such as you who are not afraid to say how they believe. All the time follow your heart. “History is the version of past events that people have decided to agree upon.” by Napoleon. I wanted to send a note so as to express gratitude to you for some of the amazing concepts you are placing on this site. My extensive internet look up has at the end of the day been compensated with extremely good strategies to exchange with my companions. I would claim that we site visitors are rather lucky to be in a remarkable site with many brilliant people with great solutions. I feel rather lucky to have discovered the site and look forward to many more brilliant minutes reading here. Thanks a lot once again for a lot of things. Wow, incredible blog format! How lengthy have you ever been running a blog for? you made running a blog glance easy. The entire glance of your site is magnificent, let alone the content material! What i don’t realize is actually how you are not really much more neatly-favored than you may be right now. You’re very intelligent. You realize therefore significantly on the subject of this subject, made me in my view believe it from numerous varied angles. Its like men and women aren’t interested until it is something to do with Lady gaga! Your personal stuffs outstanding. At all times handle it up! Merely wanna input on few general things, The website layout is perfect, the articles is rattling superb. “I have seen the future and it doesn’t work.” by Robert Fulford. you’re in point of fact a good webmaster. The site loading pace is amazing. It sort of feels that you are doing any distinctive trick. Also, The contents are masterwork. you have performed a fantastic process on this matter! wonderful issues altogether, you just won a new reader. What would you recommend about your submit that you just made a few days in the past? Any sure? whoah this blog is excellent i really like studying your posts. Stay up the great work! You recognize, lots of persons are looking around for this information, you can help them greatly. I wanted to develop a brief word in order to thank you for these great tricks you are sharing at this website. My incredibly long internet investigation has finally been compensated with really good facts to go over with my friends and family. I ‘d claim that many of us readers are unequivocally blessed to be in a useful network with many special people with beneficial guidelines. I feel truly fortunate to have encountered the web page and look forward to many more pleasurable times reading here. Thank you again for all the details. certainly like your website however you have to check the spelling on quite a few of your posts. Several of them are rife with spelling issues and I find it very troublesome to tell the reality then again I’ll surely come again again. A lot of thanks for your whole effort on this web site. Ellie really likes going through internet research and it’s easy to understand why. Almost all hear all regarding the powerful way you offer important things through your blog and as well as cause response from other ones on that situation and my child has always been learning a whole lot. Have fun with the rest of the year. You’re the one doing a good job. Keep up the fantastic piece of work, I read few content on this site and I think that your website is rattling interesting and holds bands of fantastic information. Great goods from you, man. I’ve understand your stuff previous to and you are just extremely great. I actually like what you have acquired here, certainly like what you are stating and the way in which you say it. You make it entertaining and you still take care of to keep it wise. I cant wait to read much more from you. This is really a wonderful web site. Thank you so much for giving everyone remarkably terrific possiblity to read from this site. It’s usually very beneficial plus packed with a great time for me personally and my office co-workers to visit the blog at the very least thrice every week to study the newest things you will have. Not to mention, I am at all times pleased considering the very good hints served by you. Some 1 tips on this page are ultimately the most suitable I’ve ever had. Real superb info can be found on web site. “I don’t know what will be used in the next world war, but the 4th will be fought with stones.” by Albert Einstein. excellent points altogether, you simply gained a new reader. What may you suggest about your publish that you just made a few days ago? Any sure? Tremendously significant specifics you have said, thank you for setting up. Thank you for another wonderful article. The place else may anybody get that type of information in such a perfect method of writing? I’ve a presentation next week, and I am on the search for such information. I simply wanted to send a quick message so as to appreciate you for all the marvelous instructions you are placing here. My long internet research has at the end of the day been compensated with reasonable content to share with my neighbours. I ‘d repeat that we readers are unquestionably blessed to dwell in a wonderful place with so many perfect professionals with interesting hints. I feel pretty lucky to have encountered your entire site and look forward to some more fabulous minutes reading here. Thank you once more for a lot of things. Howdy here, just became aware about your blog site through The Big G, and realized that it’s really entertaining. I’ll truly appreciate should you decide keep up this idea. Great amazing issues here. I¡¦m very happy to peer your post. Thanks a lot and i am having a look forward to contact you. Will you kindly drop me a e-mail? I not to mention my guys happened to be checking the good tips and hints from the blog while before long I got an awful suspicion I never thanked the web site owner for them. Most of the boys appeared to be for this reason very interested to read them and already have truly been tapping into those things. Many thanks for genuinely very accommodating and also for using these kinds of superior information millions of individuals are really desperate to be aware of. Our sincere apologies for not saying thanks to sooner. First off I want to say terrific blog! I had a quick question that I’d like to ask if you don’t mind. I was interested to find out how you center yourself and clear your thoughts prior to writing. I’ve had a hard time clearing my mind in getting my thoughts out. I do enjoy writing however it just seems like the first 10 to 15 minutes are lost just trying to figure out how to begin. Any ideas or tips? Kudos! Greetings from Idaho! I’m bored at work so I decided to check out your blog on my iphone during lunch break. I enjoy the info you provide here and can’t wait to take a look when I get home. I’m amazed at how quick your blog loaded on my cell phone .. I’m not even using WIFI, just 3G .. Anyways, very good site! Merely wanna comment on few general things, The website layout is perfect, the subject matter is very superb. “All movements go too far.” by Bertrand Russell. I really enjoy examining on this internet site , it contains wonderful posts . “Sometime they’ll give a war and nobody will come.” by Carl Sandburg. Generally I don’t learn article on blogs, however I wish to say that this write-up very compelled me to try and do it! Your writing taste has been surprised me. Thanks, quite great article. I’ve been browsing on-line greater than 3 hours today, but I by no means found any attention-grabbing article like yours. It’s lovely value enough for me. In my opinion, if all web owners and bloggers made excellent content as you probably did, the web will likely be a lot more helpful than ever before. “Oh, that way madness lies let me shun that.” by William Shakespeare. Hi my loved one! I wish to say that this post is amazing, great written and include almost all important infos. I would like to see extra posts like this. I wanted to draft you a very little remark to help thank you yet again relating to the awesome basics you have contributed on this site. It’s quite particularly generous of people like you giving freely all that a few individuals could have sold as an ebook in order to make some dough for themselves, especially now that you could possibly have tried it in case you desired. Those pointers also acted as the easy way to comprehend the rest have the same dreams the same as mine to know the truth good deal more pertaining to this condition. I think there are many more pleasurable times in the future for people who scan your blog. Hello would you mind stating which blog platform you’re using? I’m planning to start my own blog soon but I’m having a hard time selecting between BlogEngine/Wordpress/B2evolution and Drupal. The reason I ask is because your design and style seems different then most blogs and I’m looking for something unique. P.S My apologies for being off-topic but I had to ask! Greetings from Ohio! I’m bored to tears at work so I decided to browse your website on my iphone during lunch break. I really like the info you provide here and can’t wait to take a look when I get home. I’m shocked at how fast your blog loaded on my phone .. I’m not even using WIFI, just 3G .. Anyways, fantastic site! I am really enjoying the theme/design of your web site. Do you ever run into any internet browser compatibility problems? A few of my blog audience have complained about my site not operating correctly in Explorer but looks great in Safari. Do you have any tips to help fix this issue? Howdy would you mind letting me know which web host you’re utilizing? I’ve loaded your blog in 3 different internet browsers and I must say this blog loads a lot quicker then most. Can you recommend a good hosting provider at a fair price? Thanks a lot, I appreciate it! Please let me know if you’re looking for a article writer for your weblog. You have some really great posts and I believe I would be a good asset. If you ever want to take some of the load off, I’d really like to write some articles for your blog in exchange for a link back to mine. Please send me an email if interested. Thank you! I enjoy what you guys are up too. This type of clever work and coverage! Keep up the superb works guys I’ve you guys to blogroll. I wish to express some appreciation to the writer just for rescuing me from this particular issue. Right after surfing around through the world-wide-web and seeing tricks which were not helpful, I figured my life was done. Living devoid of the answers to the difficulties you have solved by means of your entire short article is a serious case, as well as those which might have adversely affected my career if I had not come across the website. Your personal expertise and kindness in taking care of a lot of stuff was excellent. I don’t know what I would’ve done if I hadn’t come across such a thing like this. I am able to at this moment look forward to my future. Thanks a lot very much for the reliable and effective help. I will not hesitate to endorse your web sites to anybody who needs to have support on this area. My developer is trying to convince me to move to .net from PHP. I have always disliked the idea because of the expenses. But he’s tryiong none the less. I’ve been using Movable-type on several websites for about a year and am nervous about switching to another platform. I have heard great things about blogengine.net. Is there a way I can transfer all my wordpress posts into it? Any kind of help would be greatly appreciated! I just wanted to compose a small message so as to appreciate you for those stunning instructions you are posting on this website. My time intensive internet lookup has now been compensated with extremely good ideas to exchange with my colleagues. I would state that that we site visitors are unequivocally lucky to live in a fine website with very many outstanding individuals with useful principles. I feel rather lucky to have come across your weblog and look forward to plenty of more awesome times reading here. Thanks once again for all the details. Some genuinely wonderful articles on this internet site, thanks for contribution. “An alcoholic is someone you don’t like who drinks as much as you do.” by Dylan Thomas. Please let me know if you’re looking for a writer for your weblog. You have some really great posts and I believe I would be a good asset. If you ever want to take some of the load off, I’d love to write some articles for your blog in exchange for a link back to mine. Please send me an email if interested. Cheers! Hello exceptional website! Does running a blog such as this require a lot of work? I have very little knowledge of coding however I was hoping to start my own blog soon. Anyhow, should you have any ideas or tips for new blog owners please share. I understand this is off topic nevertheless I just had to ask. Kudos! Thanks for another great post. The place else may just anybody get that kind of information in such a perfect approach of writing? I’ve a presentation subsequent week, and I’m at the search for such information. you are truly a good webmaster. The website loading pace is incredible. It kind of feels that you are doing any distinctive trick. Furthermore, The contents are masterpiece. you have done a wonderful job on this topic! You could certainly see your skills in the paintings you write. The world hopes for even more passionate writers like you who are not afraid to say how they believe. At all times go after your heart. “In order to preserve your self-respect, it is sometimes necessary to lie and cheat.” by Robert Byrne. Hiya, I am really glad I have found this information. Today bloggers publish just about gossip and internet stuff and this is actually frustrating. A good site with interesting content, that’s what I need. Thank you for making this web site, and I’ll be visiting again. Do you do newsletters by email? Hi there. I discovered your site by the use of Google even as searching for a comparable matter, your web site came up. It looks good. I’ve bookmarked it in my google bookmarks to visit then. Hiya, I am really glad I have found this information. Nowadays bloggers publish only about gossip and net stuff and this is really annoying. A good blog with interesting content, that’s what I need. Thanks for making this web site, and I will be visiting again. Do you do newsletters by email? Hi I am so delighted I found your webpage, I really found you by error, while I was searching on Digg for something else, Nonetheless I am here now and would just like to say cheers for a incredible post and a all round interesting blog (I also love the theme/design), I don’t have time to read it all at the moment but I have saved it and also added in your RSS feeds, so when I have time I will be back to read more, Please do keep up the great work. Hello there. I discovered your site by way of Google whilst searching for a related topic, your website came up. It looks good. I’ve bookmarked it in my google bookmarks to visit then. Hey there. I discovered your website via Google while searching for a similar topic, your site got here up. It seems great. I have bookmarked it in my google bookmarks to visit then. I have recently started a web site, the information you provide on this website has helped me tremendously. Thank you for all of your time & work. “The very ink with which history is written is merely fluid prejudice.” by Mark Twain. Hey there. I found your site via Google whilst searching for a comparable topic, your web site got here up. It seems to be great. I’ve bookmarked it in my google bookmarks to visit then. Hello there. I discovered your blog by way of Google while searching for a comparable subject, your web site came up. It appears great. I have bookmarked it in my google bookmarks to come back then. Hey there. I found your blog by means of Google at the same time as looking for a similar matter, your web site got here up. It appears to be good. I’ve bookmarked it in my google bookmarks to visit then. My developer is trying to convince me to move to .net from PHP. I have always disliked the idea because of the expenses. But he’s tryiong none the less. I’ve been using WordPress on several websites for about a year and am concerned about switching to another platform. I have heard good things about blogengine.net. Is there a way I can transfer all my wordpress content into it? Any kind of help would be greatly appreciated! Hello there. I discovered your blog by the use of Google at the same time as searching for a similar subject, your site came up. It appears to be great. I’ve bookmarked it in my google bookmarks to come back then. Hi there. I found your web site via Google whilst looking for a comparable matter, your website got here up. It looks great. I’ve bookmarked it in my google bookmarks to visit then. Hiya, I’m really glad I have found this info. Today bloggers publish only about gossip and net stuff and this is really annoying. A good website with interesting content, that’s what I need. Thanks for making this site, and I’ll be visiting again. Do you do newsletters by email? Hiya, I’m really glad I’ve found this information. Today bloggers publish just about gossip and net stuff and this is really annoying. A good blog with exciting content, this is what I need. Thanks for making this web site, and I will be visiting again. Do you do newsletters by email? Hiya, I am really glad I have found this info. Today bloggers publish only about gossip and net stuff and this is actually frustrating. A good blog with interesting content, that is what I need. Thank you for making this site, and I will be visiting again. Do you do newsletters by email? Hi there. I found your blog via Google even as looking for a comparable subject, your website got here up. It seems to be good. I have bookmarked it in my google bookmarks to come back then. Hello, Neat post. There’s an issue with your website in web explorer, might test this¡K IE nonetheless is the marketplace leader and a huge portion of people will miss your wonderful writing because of this problem. Just wanna remark on few general things, The website style and design is perfect, the subject matter is very fantastic. “To the artist there is never anything ugly in nature.” by Franois Auguste Ren Rodin. Utterly indited subject material, thank you for entropy. “In the fight between you and the world, back the world.” by Frank Zappa. Its great as your other posts : D, thankyou for posting . “Say not, ‘I have found the truth,’ but rather, ‘I have found a truth. '” by Kahlil Gibran. I just could not go away your site before suggesting that I actually enjoyed the standard information an individual provide to your guests? Is gonna be again incessantly in order to investigate cross-check new posts. Hello there. I found your website by the use of Google even as looking for a related subject, your site came up. It appears to be good. I’ve bookmarked it in my google bookmarks to come back then. Thanks for sharing superb informations. Your website is very cool. I am impressed by the details that you’ve on this blog. It reveals how nicely you perceive this subject. Bookmarked this web page, will come back for extra articles. You, my pal, ROCK! I found simply the info I already searched everywhere and just could not come across. What an ideal web-site. What i don’t realize is in truth how you’re not actually a lot more well-liked than you may be right now. You are so intelligent. You recognize thus considerably when it comes to this matter, produced me personally consider it from a lot of numerous angles. Its like women and men don’t seem to be interested except it’s something to accomplish with Girl gaga! Your individual stuffs outstanding. All the time deal with it up! Hello there. I discovered your website by means of Google whilst looking for a related matter, your web site came up. It seems good. I’ve bookmarked it in my google bookmarks to visit then. Hiya, I’m really glad I have found this information. Nowadays bloggers publish just about gossip and internet stuff and this is actually irritating. A good blog with exciting content, that is what I need. Thanks for making this web-site, and I’ll be visiting again. Do you do newsletters by email? Hiya, I am really glad I’ve found this information. Today bloggers publish just about gossip and internet stuff and this is actually annoying. A good site with exciting content, this is what I need. Thanks for making this site, and I will be visiting again. Do you do newsletters by email? hello there and thank you for your information – I have definitely picked up anything new from right here. I did however expertise some technical points using this web site, as I experienced to reload the web site lots of times previous to I could get it to load correctly. I had been wondering if your web hosting is OK? Not that I’m complaining, but sluggish loading instances times will very frequently affect your placement in google and can damage your high quality score if ads and marketing with Adwords. Anyway I am adding this RSS to my e-mail and can look out for a lot more of your respective interesting content. Ensure that you update this again soon.. Wonderful goods from you, man. I’ve understand your stuff previous to and you’re just extremely magnificent. I actually like what you have acquired here, certainly like what you’re saying and the way in which you say it. You make it enjoyable and you still care for to keep it sensible. I can not wait to read far more from you. This is really a terrific site. Thanks so much for giving everyone such a remarkable possiblity to read critical reviews from this web site. It is always very superb and as well , jam-packed with a lot of fun for me personally and my office peers to visit your site at least three times in 7 days to study the new guidance you will have. And of course, I am actually pleased considering the perfect secrets you give. Selected 4 tips in this post are definitely the most efficient I have had. Some truly nice and useful info on this web site, likewise I think the pattern holds good features. Thank you for all of your efforts on this web site. My niece loves getting into investigations and it’s obvious why. Almost all notice all regarding the lively method you provide functional tips and hints via your blog and encourage contribution from people about this article while our own girl has always been discovering a lot of things. Enjoy the remaining portion of the new year. You’re the one performing a dazzling job. I simply couldn’t go away your site prior to suggesting that I extremely enjoyed the usual information an individual provide in your visitors? Is going to be again steadily to investigate cross-check new posts. Hiya, I am really glad I have found this info. Nowadays bloggers publish only about gossip and internet stuff and this is actually annoying. A good website with exciting content, that is what I need. Thank you for making this web site, and I’ll be visiting again. Do you do newsletters by email? Hello there. I found your site by way of Google while looking for a related subject, your web site got here up. It appears great. I’ve bookmarked it in my google bookmarks to visit then. Hey there. I found your website via Google even as searching for a similar topic, your web site came up. It appears great. I’ve bookmarked it in my google bookmarks to come back then. Hiya, I am really glad I’ve found this information. Nowadays bloggers publish just about gossip and internet stuff and this is actually irritating. A good website with interesting content, this is what I need. Thanks for making this web-site, and I’ll be visiting again. Do you do newsletters by email? Hello there. I discovered your site by the use of Google at the same time as looking for a related matter, your site came up. It seems good. I’ve bookmarked it in my google bookmarks to visit then. Hiya, I am really glad I’ve found this information. Today bloggers publish only about gossip and internet stuff and this is actually frustrating. A good blog with exciting content, this is what I need. Thanks for making this web site, and I will be visiting again. Do you do newsletters by email? Hello there. I found your web site by means of Google even as searching for a related subject, your site came up. It seems great. I have bookmarked it in my google bookmarks to come back then. Hello there. I found your website by the use of Google at the same time as looking for a related matter, your site got here up. It looks great. I have bookmarked it in my google bookmarks to visit then. Hey there. I discovered your web site by means of Google even as looking for a related matter, your website got here up. It seems to be good. I have bookmarked it in my google bookmarks to visit then. Hello there. I discovered your website via Google even as looking for a related subject, your web site got here up. It seems to be good. I have bookmarked it in my google bookmarks to visit then. Hiya, I am really glad I’ve found this info. Today bloggers publish only about gossip and web stuff and this is actually irritating. A good web site with interesting content, that is what I need. Thank you for making this web-site, and I’ll be visiting again. Do you do newsletters by email? Hi there. I found your website by means of Google whilst searching for a comparable matter, your site came up. It seems to be good. I’ve bookmarked it in my google bookmarks to visit then. Hello! I know this is kinda off topic however I’d figured I’d ask. Would you be interested in exchanging links or maybe guest authoring a blog article or vice-versa? My site discusses a lot of the same topics as yours and I think we could greatly benefit from each other. If you might be interested feel free to shoot me an e-mail. I look forward to hearing from you! Excellent blog by the way! Hello, i read your blog from time to time and i own a similar one and i was just wondering if you get a lot of spam remarks? If so how do you prevent it, any plugin or anything you can advise? I get so much lately it’s driving me crazy so any assistance is very much appreciated. With havin so much content and articles do you ever run into any problems of plagorism or copyright infringement? My website has a lot of exclusive content I’ve either written myself or outsourced but it looks like a lot of it is popping it up all over the internet without my permission. Do you know any ways to help protect against content from being ripped off? I’d really appreciate it. Hi there. I discovered your blog by means of Google at the same time as searching for a similar subject, your site got here up. It appears good. I’ve bookmarked it in my google bookmarks to come back then. Hello would you mind sharing which blog platform you’re working with? I’m planning to start my own blog soon but I’m having a hard time making a decision between BlogEngine/Wordpress/B2evolution and Drupal. The reason I ask is because your layout seems different then most blogs and I’m looking for something completely unique. P.S Apologies for getting off-topic but I had to ask! First off I want to say terrific blog! I had a quick question that I’d like to ask if you don’t mind. I was curious to find out how you center yourself and clear your head before writing. I’ve had a difficult time clearing my thoughts in getting my ideas out there. I truly do take pleasure in writing but it just seems like the first 10 to 15 minutes are wasted simply just trying to figure out how to begin. Any recommendations or hints? Thanks! Have you ever thought about publishing an ebook or guest authoring on other websites? I have a blog centered on the same information you discuss and would love to have you share some stories/information. I know my viewers would enjoy your work. If you’re even remotely interested, feel free to shoot me an email. Have you ever thought about creating an e-book or guest authoring on other websites? I have a blog based on the same topics you discuss and would love to have you share some stories/information. I know my visitors would enjoy your work. If you’re even remotely interested, feel free to send me an e mail. Hi! I know this is kinda off topic however , I’d figured I’d ask. Would you be interested in trading links or maybe guest authoring a blog post or vice-versa? My site discusses a lot of the same subjects as yours and I believe we could greatly benefit from each other. If you’re interested feel free to shoot me an email. I look forward to hearing from you! Awesome blog by the way! I am really enjoying the theme/design of your web site. Do you ever run into any web browser compatibility problems? A handful of my blog visitors have complained about my website not operating correctly in Explorer but looks great in Opera. Do you have any solutions to help fix this problem? Hi there. I discovered your blog by way of Google at the same time as looking for a related topic, your site got here up. It appears great. I have bookmarked it in my google bookmarks to visit then. Hello there. I discovered your website by means of Google while looking for a comparable subject, your website came up. It appears to be great. I have bookmarked it in my google bookmarks to visit then. Hiya, I am really glad I’ve found this info. Today bloggers publish only about gossip and internet stuff and this is actually irritating. A good blog with interesting content, that’s what I need. Thanks for making this website, and I will be visiting again. Do you do newsletters by email? Hey there. I discovered your website by means of Google whilst searching for a related matter, your web site got here up. It seems to be great. I’ve bookmarked it in my google bookmarks to visit then. Hiya, I’m really glad I’ve found this information. Today bloggers publish just about gossip and internet stuff and this is really annoying. A good website with interesting content, that is what I need. Thank you for making this web-site, and I’ll be visiting again. Do you do newsletters by email? Hello there. I found your site by the use of Google whilst searching for a similar topic, your web site got here up. It appears good. I have bookmarked it in my google bookmarks to visit then. Hello there. I discovered your blog via Google whilst looking for a similar matter, your web site came up. It seems good. I’ve bookmarked it in my google bookmarks to come back then. Hello there. I found your website by means of Google at the same time as looking for a related matter, your website came up. It seems great. I’ve bookmarked it in my google bookmarks to visit then. Hello there. I discovered your website via Google while searching for a comparable topic, your site came up. It seems great. I’ve bookmarked it in my google bookmarks to visit then. Hey there. I found your blog by the use of Google at the same time as looking for a comparable topic, your site got here up. It appears to be good. I have bookmarked it in my google bookmarks to visit then. Hey there. I discovered your site by way of Google while searching for a similar matter, your site got here up. It appears to be good. I have bookmarked it in my google bookmarks to come back then. Hey there. I found your site by way of Google even as looking for a similar subject, your site came up. It looks good. I’ve bookmarked it in my google bookmarks to visit then. Hiya, I’m really glad I’ve found this information. Nowadays bloggers publish just about gossip and web stuff and this is actually annoying. A good blog with exciting content, that’s what I need. Thank you for making this web-site, and I will be visiting again. Do you do newsletters by email? Hiya, I’m really glad I’ve found this information. Today bloggers publish just about gossip and internet stuff and this is really frustrating. A good blog with interesting content, that is what I need. Thanks for making this web-site, and I’ll be visiting again. Do you do newsletters by email? Hiya, I’m really glad I’ve found this information. Today bloggers publish just about gossip and web stuff and this is really frustrating. A good site with interesting content, this is what I need. Thanks for making this web-site, and I will be visiting again. Do you do newsletters by email? Hiya, I am really glad I have found this information. Nowadays bloggers publish only about gossip and net stuff and this is really frustrating. A good website with exciting content, this is what I need. Thank you for making this site, and I’ll be visiting again. Do you do newsletters by email? Hello there. I discovered your site by means of Google whilst looking for a comparable matter, your web site came up. It appears to be great. I have bookmarked it in my google bookmarks to visit then. Hey there. I discovered your website via Google even as looking for a comparable subject, your site got here up. It seems good. I have bookmarked it in my google bookmarks to visit then. Hey there. I found your web site by means of Google at the same time as looking for a similar matter, your web site got here up. It appears to be great. I’ve bookmarked it in my google bookmarks to come back then. Hiya, I am really glad I have found this info. Today bloggers publish only about gossip and net stuff and this is actually irritating. A good blog with exciting content, that is what I need. Thanks for making this web-site, and I’ll be visiting again. Do you do newsletters by email? Hiya, I’m really glad I’ve found this information. Today bloggers publish only about gossip and net stuff and this is really annoying. A good site with interesting content, that’s what I need. Thanks for making this site, and I will be visiting again. Do you do newsletters by email? Hi there. I discovered your site via Google whilst searching for a comparable matter, your site came up. It seems to be great. I’ve bookmarked it in my google bookmarks to come back then. Hiya, I’m really glad I have found this information. Nowadays bloggers publish only about gossip and net stuff and this is actually annoying. A good site with interesting content, that’s what I need. Thanks for making this site, and I will be visiting again. Do you do newsletters by email? Hey there. I discovered your site by the use of Google while searching for a related topic, your site got here up. It seems great. I’ve bookmarked it in my google bookmarks to visit then. Hi there. I discovered your web site by the use of Google whilst searching for a similar topic, your web site got here up. It looks great. I’ve bookmarked it in my google bookmarks to come back then. Do you mind if I quote a couple of your articles as long as I provide credit and sources back to your webpage? My blog site is in the exact same area of interest as yours and my visitors would truly benefit from some of the information you present here. Please let me know if this okay with you. Thanks! Hi there. I found your blog by means of Google at the same time as searching for a related topic, your site came up. It appears great. I’ve bookmarked it in my google bookmarks to visit then. Great blog! Do you have any suggestions for aspiring writers? I’m planning to start my own site soon but I’m a little lost on everything. Would you suggest starting with a free platform like WordPress or go for a paid option? There are so many choices out there that I’m totally confused .. Any suggestions? Appreciate it! Appreciating the persistence you put into your site and in depth information you present. It’s awesome to come across a blog every once in a while that isn’t the same outdated rehashed material. Excellent read! I’ve bookmarked your site and I’m including your RSS feeds to my Google account. Greetings from California! I’m bored to death at work so I decided to check out your blog on my iphone during lunch break. I really like the information you present here and can’t wait to take a look when I get home. I’m shocked at how fast your blog loaded on my cell phone .. I’m not even using WIFI, just 3G .. Anyways, fantastic blog! Hey there. I found your site via Google whilst looking for a comparable topic, your website got here up. It looks good. I have bookmarked it in my google bookmarks to visit then. Awesome blog you have here but I was wanting to know if you knew of any message boards that cover the same topics talked about in this article? I’d really like to be a part of group where I can get advice from other knowledgeable individuals that share the same interest. If you have any recommendations, please let me know. Appreciate it!